Hi everyone! 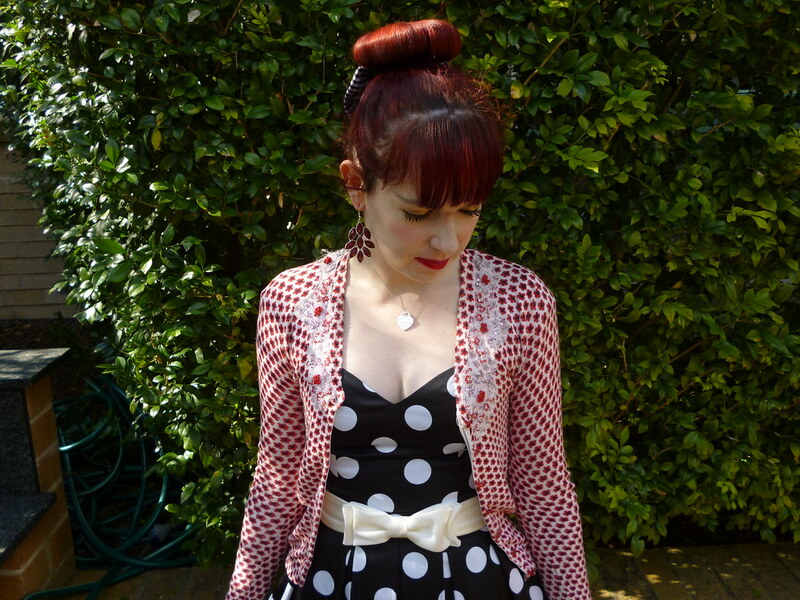 As you can see I now own the pretty polka dot dress from my last post. I love it so much and it represents my style completely. I adore the sweetheart neckline, the fit and flare silhouette, the classic colour scheme and the high shine material. It also has a layer of tulle underneath which sets it apart from a number of other dresses. I like how versatile this dress is; the shiny material means it would be perfect with heels for a formal event. I also like the length of this dress with flats and it’s great to style it for a more every day look. This is how I wore it to work last week. My bag is also relatively new and it’s from Guess; if you haven’t noticed by now I have such an obsession with Guess bags. I chose this one because it is a classy timeless piece in comparison with many of my other more fun bags. It was tempting to buy it in pink but I went for red for very much the same reason. The size is very practical and, even though you can’t tell too well from the pictures, the embossed design on the front makes it look a little like a high end designer bag. It’s crazy how many times I have more my Gloria flats from B.A.I.T Footwear. I also have them in black. For the past couple of months I have been alternating between the two colours most days. I am wearing the black version right now. They are very comfortable and I adore the style; I don’t think I have ever had so much wear from a pair of shoes before. When they wear out, which probably won’t be too far off, I will just have to buy them again; they are undoubtedly a staple for me now. If B.A.I.T Footwear ever bring them out in any other colours I would have to buy them immediately! My Gloria flats have been even more of a benefit lately as I’ve been unable to wear heels for the past two and a half weeks. I’ve torn the ligaments in my ankles from running. I’d only been back into running for a few weeks when the injury occurred and I’d been really enjoying going to the gym. I was feeling great to be having a healthier lifestyle and increasing the distances and improving my times made me feel so good. But I definitely over did it. I was running five times a week; in my first week back I ran a 7km and then a 9km in only my third week back. It was too much stress on my ankles and now I am paying the price. It’s been very painful and inconvenient; getting to work and dealing wit public transport has been so difficult. I can finally walk properly and at a normal pace again but the swelling I still have really concerns me. I miss my high heels and my running. I am trying to keep positive because I’ll be able to get back into it eventually. 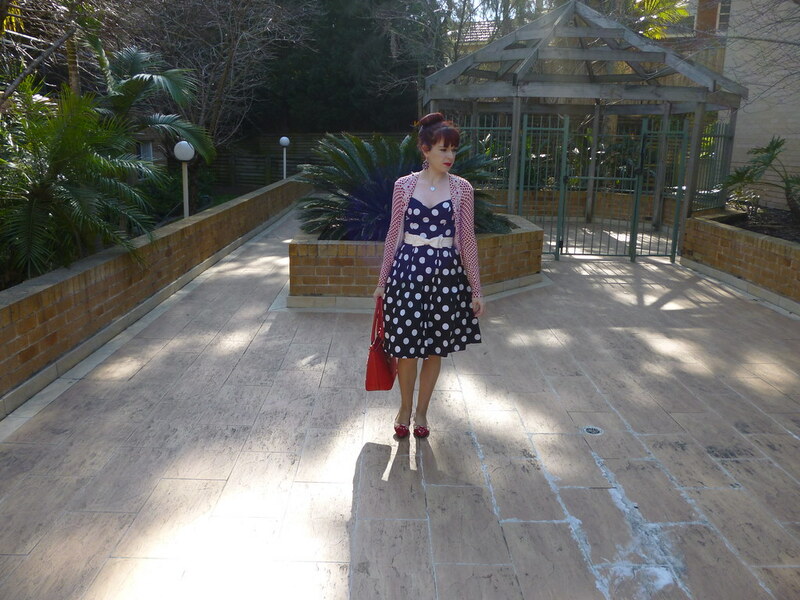 This entry was posted in Alannah Hill, BAIT Footwear, Guess, Kitten D'Amour, Outfits, Review Australia, Valleygirl. Bookmark the permalink. This is so charming and feminine look. Polka dots are so timeless and paired with red are always chic. Cute dress. Thanks for sharing and happy Monday! 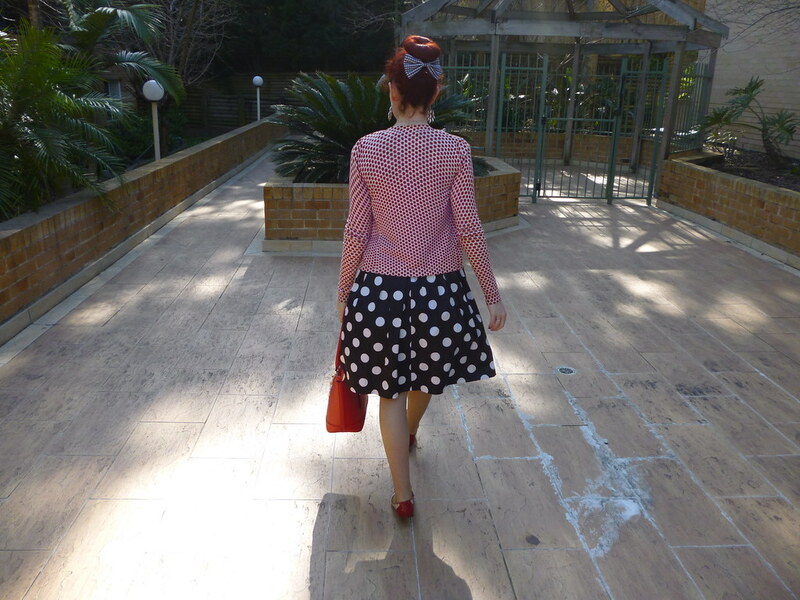 Love these classic polka dots on you! Such a cute dress and I love the way you styled it! Sorry to hear about your ankles! Injuries when running are no fun! I hope they will feel better soon!